Being the daring technology journalist that I am, I decided to take the plunge and install Flash on my iPad. I do these things just for you. Now, I know that you must be thinking ‘didn’t Jobs say no-no to Flash?’ Yes he did, but you can stiff him if you want to. After jailbreaking my iPad (first time doing that I must admit), I downloaded the needed files and delved into the gadget’s root file system, mucking about in there long enough to worry myself that I had destroyed something crucial. Being the non-technical person that I am, the word ‘root’ makes me sweat a little. The good news though, is that after jailbreaking the iPad and going through the Flash installation process, everything works as it should. Now, if you want to do as I have done and install Flash on your Apple slate, Engadget has the definitive guide on how to do so. However, I beg you to wait on that for just a moment. Installing Flash on your iPad is just not a plan, and I will tell you why. 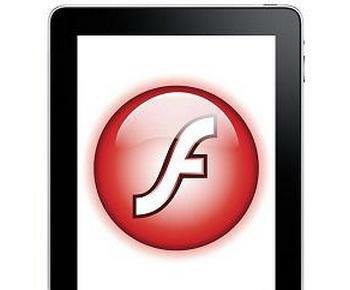 The reason that nearly everyone wants Flash on their iPad, in theory, is for video playback. Well, bad news, this early Flash hack does not handle video. If that was your goal, surrender now, the process is worthless to you. Perhaps this will be fixed in a later version, but for the moment it is an absolute: no Flash video for you. There is good news on the horizon however, YouTube is moving their mobile world over to HTML5 one step at a time, so the no-iPad-video annoyance is fading, albeit slowly. With this Flash workaround some games that you want to play online will run, but only some. From experience tinkering with my newly Flashy Safari browser, I would say that 80% of games will either fail to load, load incorrectly, or be completely unplayable. Still, 20% is better than 0% if you are a gamer. This, to me, is most likely an early version problem. Most of the load issues should be solvable over future releases. Games that require keyboard over touch input, or involve the dreaded ‘hover’ will remain difficult to play. Perhaps iPad editions will spring up, but that is not likely. The biggest, and by far the most immediate change that you will notice with Flash on your iPad is an increase in viewable advertisements. If you didn’t notice, not being attacked by Flashy ads is actually rather refreshing. After using your for iPad for (presumably) a few weeks at least, to fire it up, load some flash elements, and then to realize that not only are they 99% ads, but annoying ads at that, is a disappointment. It is a long and annoying process to get Flash working on your iPad, and to have the reward for that work be the advertisements that you want to block on your laptop, is quite a letdown. So there you have it, install Flash if you want to, but I have something to go pull from my iPad.